Come to Dover Chevrolet and speak to one of our financial experts. We’ll create a loan program tailored to your needs, ensuring you can afford to drive away with one of our quality new or used vehicles. Our financing department can arrange long or short-term loans, adjust your monthly payments to fit any budget, and help protect your investment in your vehicle. Less than perfect credit is no problem, we’ll work with you! With our pre-approval form, you can walk into Dover Chevrolet without any financial confusion. We strive to get your financing approved quickly so you can drive your new vehicle as soon as possible. 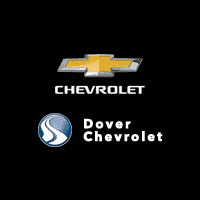 For a car loan in Dover, NH visit Dover Chevrolet at 5 Dover Point Road and let’s discuss the best plan for you! Most car shoppers rely on financing to purchase their desired vehicle. While some chose to finance directly through the bank or a credit union, a large number of people decide on “dealership financing”. While it is usually considered more convenient to buy and finance your vehicle at the same place, there are also other good reasons to get your loan directly from the dealership. Dover Chevrolet’s relationship with a variety of Dover, NH banks means they can offer buyers a range of financing options. Periodically, Dover Chevrolet will offer special programs and low-rate deals that standard finance companies do not. There are many ways to better prepare yourself before arriving at our dealership. Do some research! Before you can decide what vehicle to purchase, you’ll first need to know what your credit report looks like. Negative information, such as high credit card balances, late payments, or errors can make it nearly impossible to get credit. A poor credit score can greatly raise your finance rate, making the vehicle you thought was affordable suddenly out of your price range. Once you have an idea of what creditors are seeing, you can estimate a price range. Check out the internet and auto buying guides to find vehicles that match your needs and price range. If you have less than perfect credit or a particularly tight budget, this step is very important. Be sure to compare current finance rates being offered by different banks, credit unions, and dealerships. The worst thing a buyer can do is getting locked into a finance plan they can’t afford because they are confused or pressured. Being knowledgeable about your options and limits is the best way to combat this. A credit score is a three-digit number generated by using information in your credit report. It’s designed to show creditors, like banks and finance companies, the risk or likelihood that a person won’t repay their loan and become delinquent. The FICO credit is the most widely accepted, being used by about 90 percent of money lending institutions. FICO scores range from 300 to 850, where a higher score indicates a lower risk and therefore a more favorable loan. The largest percentage of your credit score is your payment history, including any delinquencies on past loans. How much you owe on other loans and accounts is also heavily weighed. Less important, but still included in your score, is the length of your credit history, the type of credit you’ve used in the past, and the number of new credit you’ve applied for. If you aren’t careful, applying for credit too often can bring down your credit score. All of these factors combine to give everyone a unique and specific score. Less than perfect financial history is easy to acquire and hard to rid yourself of. This can be a huge problem when it comes time for a large purchase, such as a home or vehicle. Although it is more difficult and time-consuming, it is not impossible to be financed with bad or no credit. You will need a valid driver’s license, recent pay stub, proof of residence, and a current phone bill to get started. Through our online loan application, our financial experts can evaluate your credit history, work history, and income to determine the best rate for your situation. We’ll do everything possible to help you obtain an auto loan that you deserve. Paying your auto loan on time is one of the most important factors lenders use to determine your credit score. Essentially, financing your vehicle in a smart and affordable manner will help re-establish your credit. Many banks and other lenders require a 20% down payment, making a new vehicle out of many people’s price range. Additionally, buyers with credit challenges will probably find better loan options in the used-vehicle market. Although the interest rate is often higher for a used car, the actual price of the car is significantly lower and therefore gives the consumer a greater chance of being approved for the loan. Keep in mind, vehicles that are over seven years old may not qualify for financing. Also, new cars can be financed for a longer term than used cars. The math is simple; if you finance a six-year-old car for 66 months you’ll be making monthly payments on a car that’s over 11 years old! It’s unlikely to be a sound investment, and therefore not usually approved. At Dover Chevrolet, it’s fast and easy to get approved for a car loan. We understand that dealing with past credit problems can be stressful and embarrassing, but we can help consumers with just this type of situation. Come into our Dover, NH dealership or contact us today to find out what we can do for you!